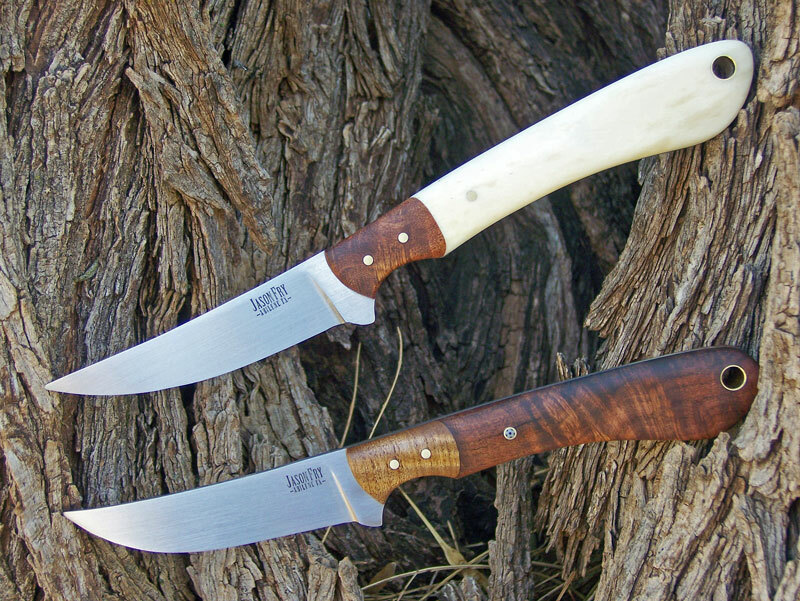 Here are two of my upswept bird and trout knives. 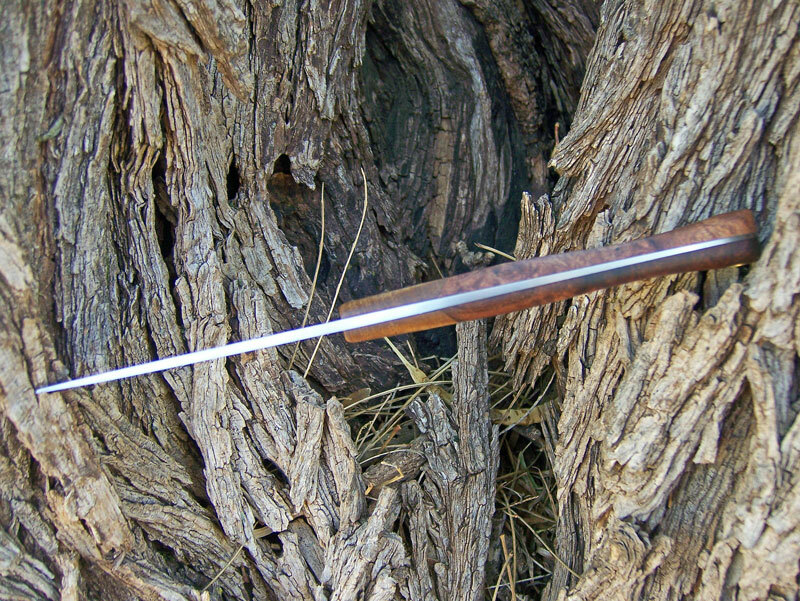 I’m pushing my own limits on “thin.” The handles on these are both under 1/2″ thick at the palm swell, and the tangs are both tapered down to 1/16″. 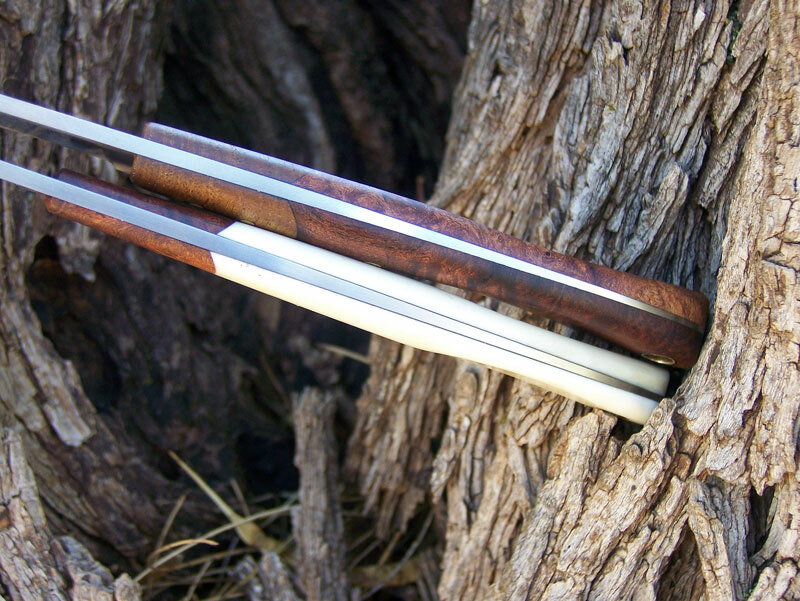 The white one is D2 steel with a stabilized mesquite bolster and a bone handle. 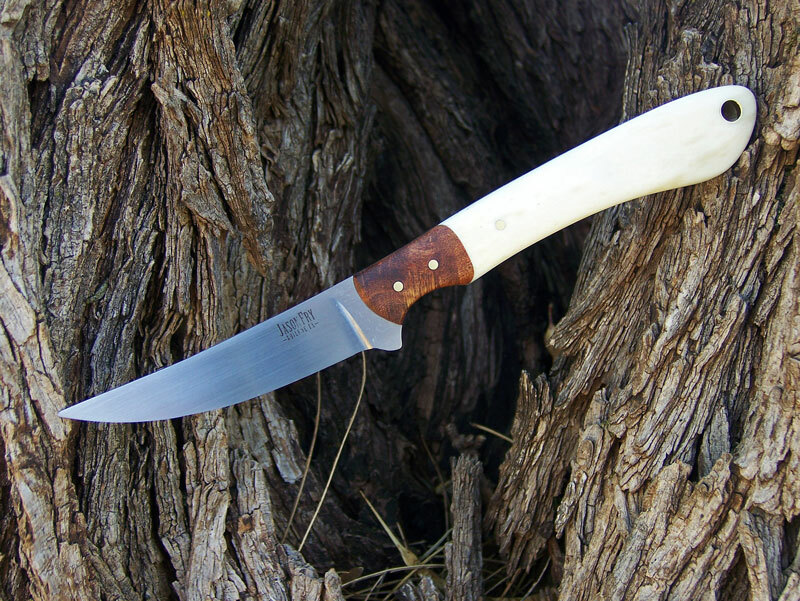 The wood one is 154 CM steel with a satinwood bolster and stabilized mesquite handle. 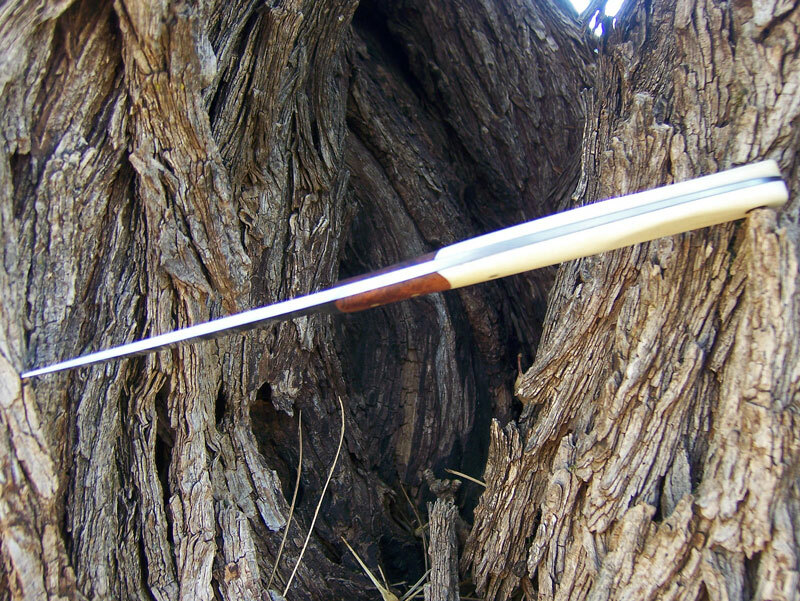 This mesquite is some that I harvested myself and had stabilized. These are some of the lightest, thinnest knives I’ve ever done, and ought to be great for caping or small game.